Quite by several accidents, I find myself really liking this variation on the SOTM. I used a different color family for this portion of the outer border by accident than I think the directions called for. And, instead of stitching both inner & outer portions, I completed the outer portion first. 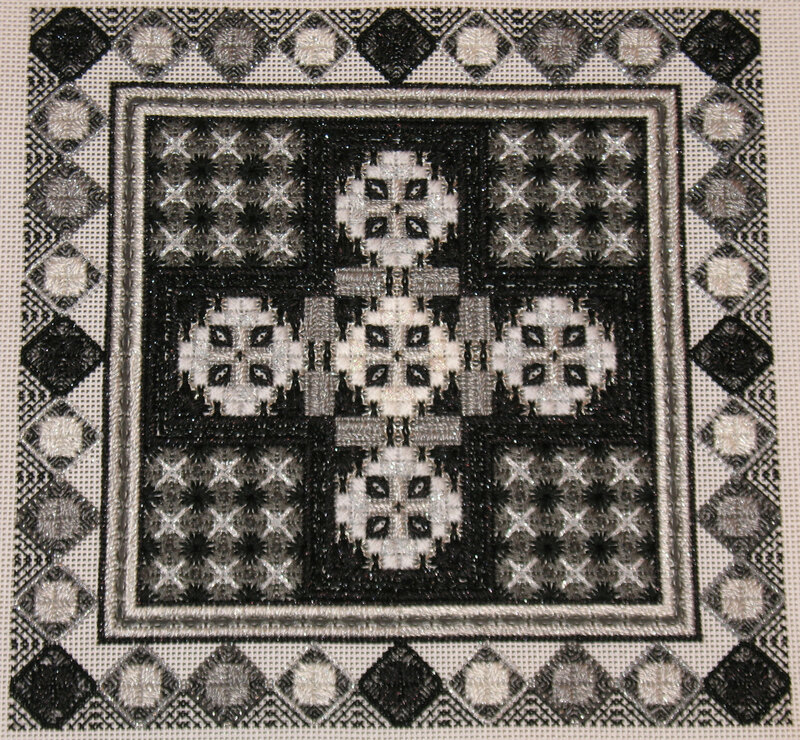 The outer portion used even less couching than called for by alternating every other row – worked out perfectly: 4 in the longest thread, 3 in the next smaller, then 2, leaving 1 small cross stitch in the corners. 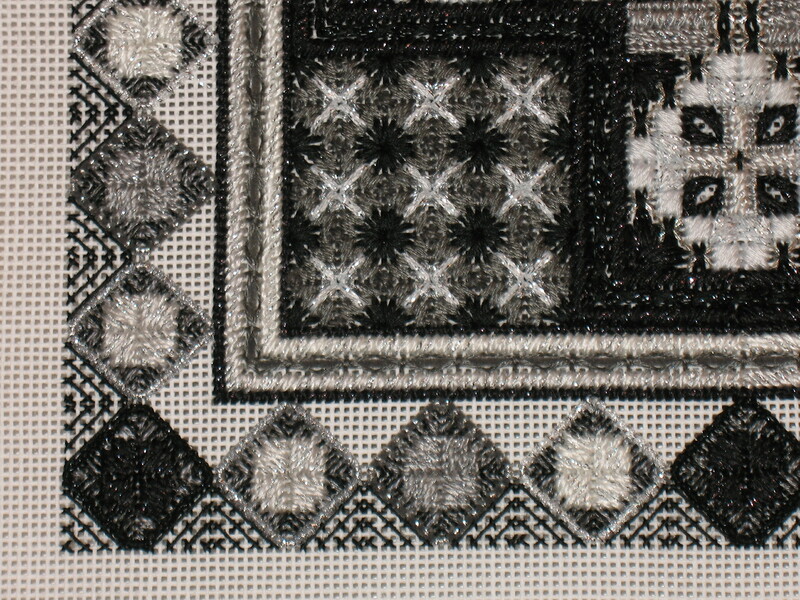 I like how it looks in the darker thread with white showing through.